6061 is a precipitation-hardened aluminum alloy, whose majoy alloy elements are magnesium and silicon. It has good mechanical properties and exhibits good weldability. Together with 6063 aluminum, it is one of the most common alloys of aluminum for general-purpose use (refer to 6061 vs 6063 aluminum forging). Aluminum alloy 6061 is suitable for hot forging. The billet is heated through an induction furnace and forged using a closed die forging process. Aluminum 6061 can be forged into any custom shapes. 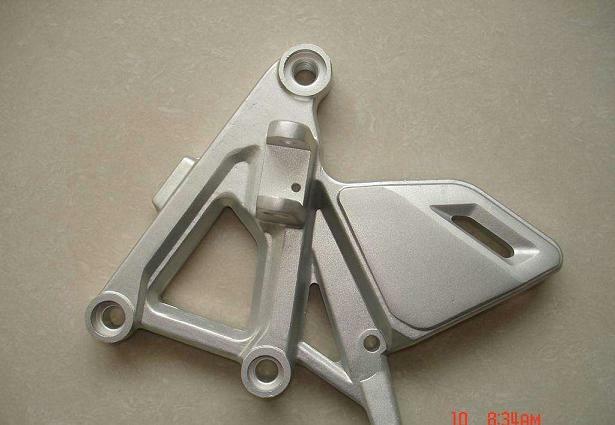 Typical 6061 aluminum forgings are: automotive parts, ATV parts, and industrial parts, ect. Aluminium alloy 6061 is one of the most extensively used forging alloy of the 6000 series aluminium alloys. Aluminum in its purest form is too soft and reactive to be of structural use. However, its alloys, such as 6061-T6 alloy, make it structurally stronger and more useful in the manufacturing of durable forgings. 6061-T6 aluminum properties make it a material of choice for boats and watercraft components because it’s strong and lightweight. Other common applications of 6061-T6 aluminum forgings include bicycle frames, applications where heat transfer is required, such as heat exchangers, air coolers and heat-sinks, and applications where 6061-T6’s non-corrosive characteristics are important, such as water, air and hydraulic piping and tubing.